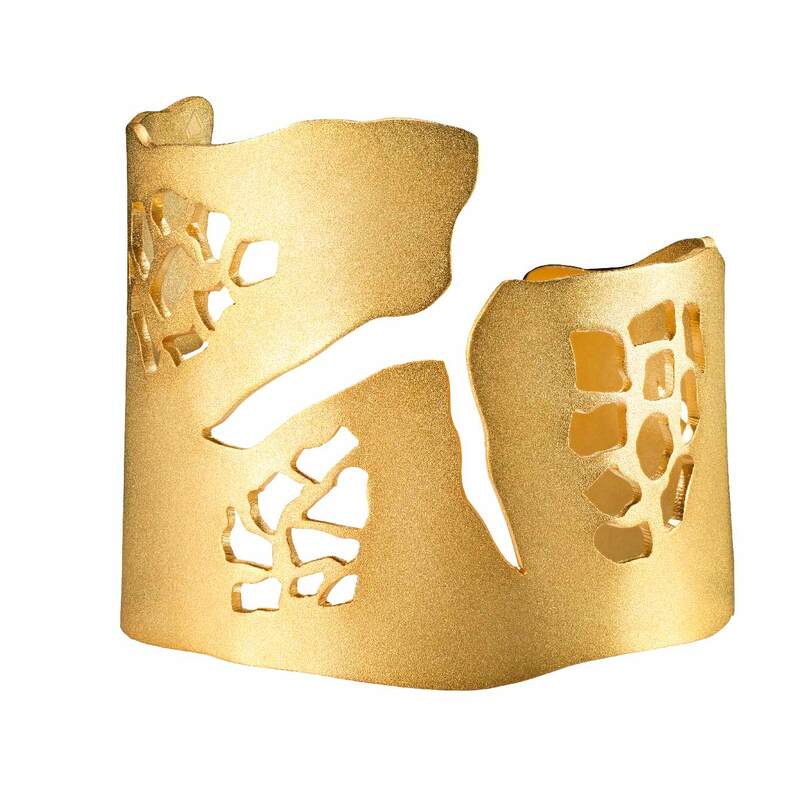 Inspired by the cracks in the city concrete, the Cracked Concrete Cuff is designed to inspire each woman to break free of the concrete shackles and the rigidity of the city life. 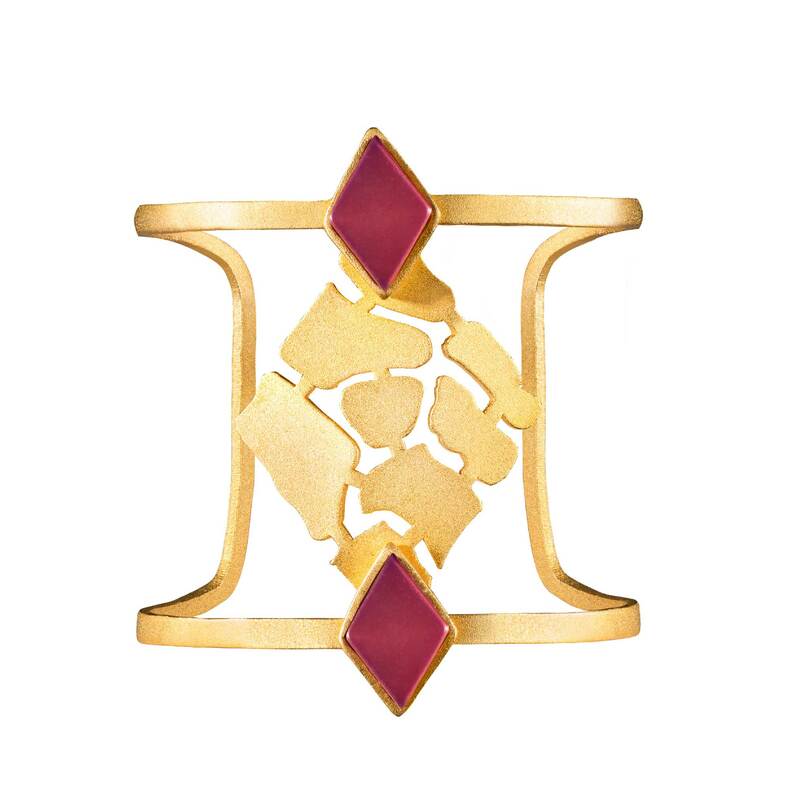 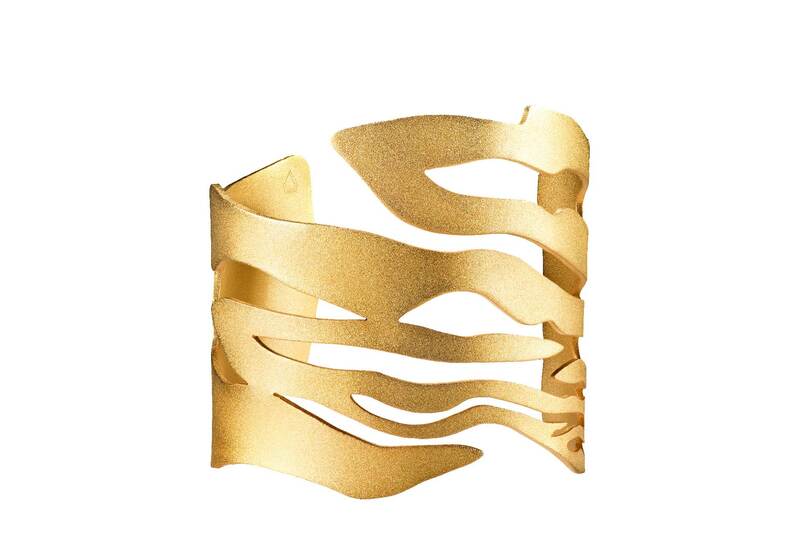 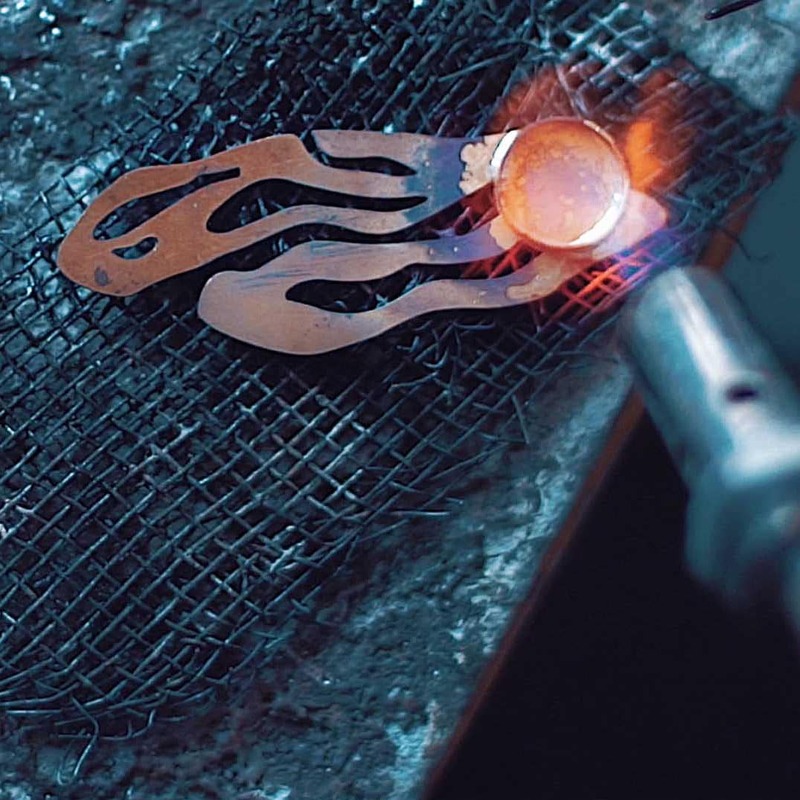 This handcrafted cuff is made of brass, dipped in 18K gold. 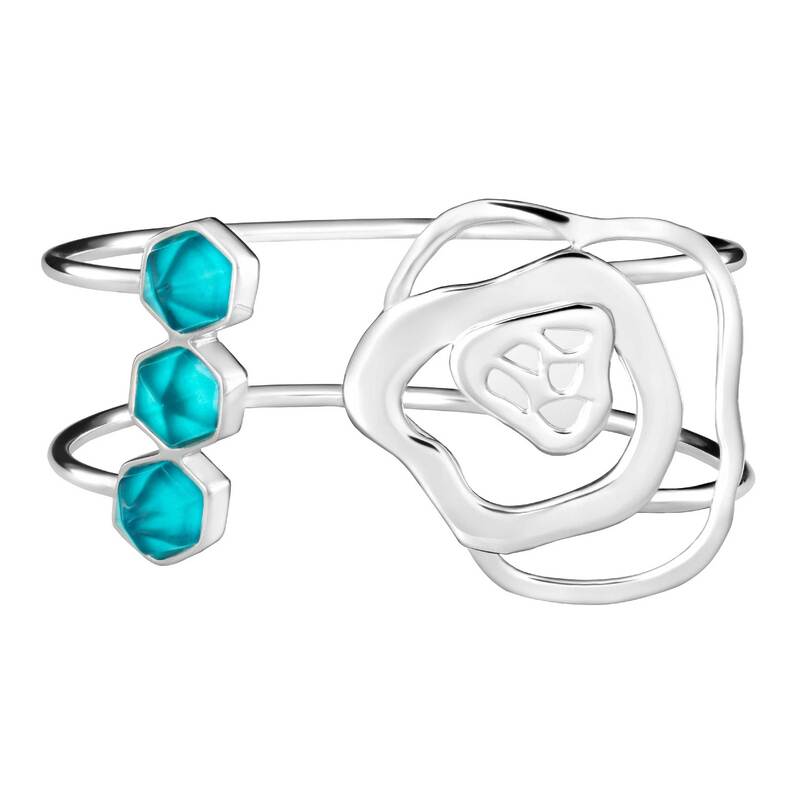 It features cracked detailing and a custom-made Resin stone. 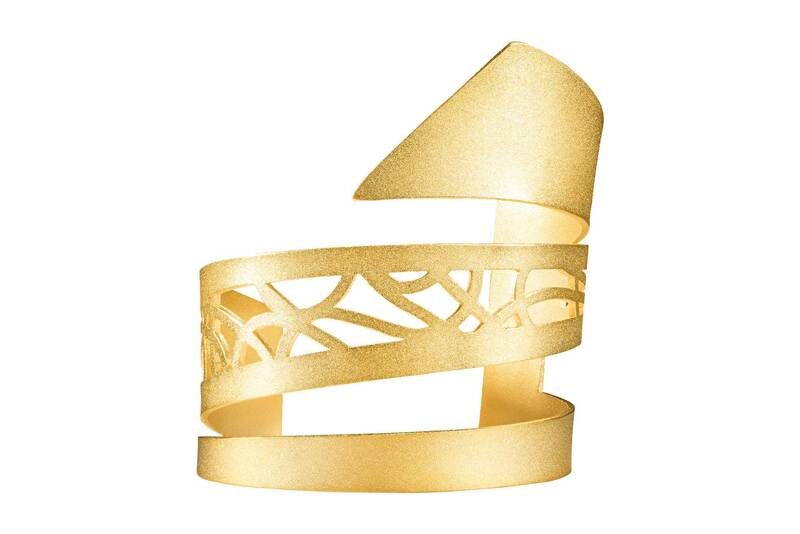 Wear it with a matching Jude Benhalim Cracked Concrete Necklace or Earrings for a statement look!